Trou aux Biches and the surrounding area of Mont Choisy is a rapidly growing tourist destination in the Northwest Mauritius towards the south of the headland of Pointe aux Canonniers. Trou Aux Biches has better beaches than Grand Bay along with an option of close-by restaurants. The name Trou Aux Biches means “hole of the does” but there is no real hole to speak of. Instead there are some luxury hotels, guesthouses, great dining options and gorgeous white-sand beaches. As the lagoon is sheltered by Casuarina trees, the prevailing winds makes this beaches perfect for swimming. Abundance of marine life makes this beach an excellent place for Snorkeling and diving. Trou Aux Biches beaches are comparatively less crowded than other beaches during the weekends but with the latest developments happening in the area, you might find yourself in tough competition for spotting a quite place. There are a lot of things to do in Trou Aux Biches. The beaches in the area are particularly good as far as water sports are concerned like diving, snorkeling, parasailing, water skiing and others. There are almost 30 to 40 dive sites just off Trou aux Biches itself. Close to Trou Aux Biches is the Mauritius Aquarium where you can see variety of local sea life. While you are at Trou aux Biches, you could go to Triolet. Triolet is the biggest village in Mauritius and it is around 10 minutes by bus from Trou aux Biches where you will get to see amazing Hindu Temple of God Shiva. Trou Aux Biches boasts several restaurants close by to the beach where you can enjoy local cuisine at very low price. You can enjoy the Mauritian cuisine at La Cravached’or restaurant Trou Aux Biches, directly on the seaside. 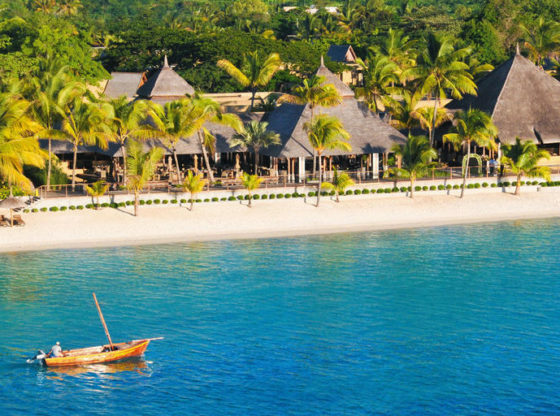 Trou aux Biches has many villas and guest houses where you can have a pleasant stay at a decent price. If you prefer a resort then you can opt for the Trou aux Biches Hotel or Veranda Pointe Aux Biches Hotel. There’s no doubt that the rapid development going on here has rather spoilt the surrounding a bit, but it’s still cheaper and far less crowded than Grand Baie so you can enjoy your stay at a calm and quiet place.